Happy #comicbookwednesday! 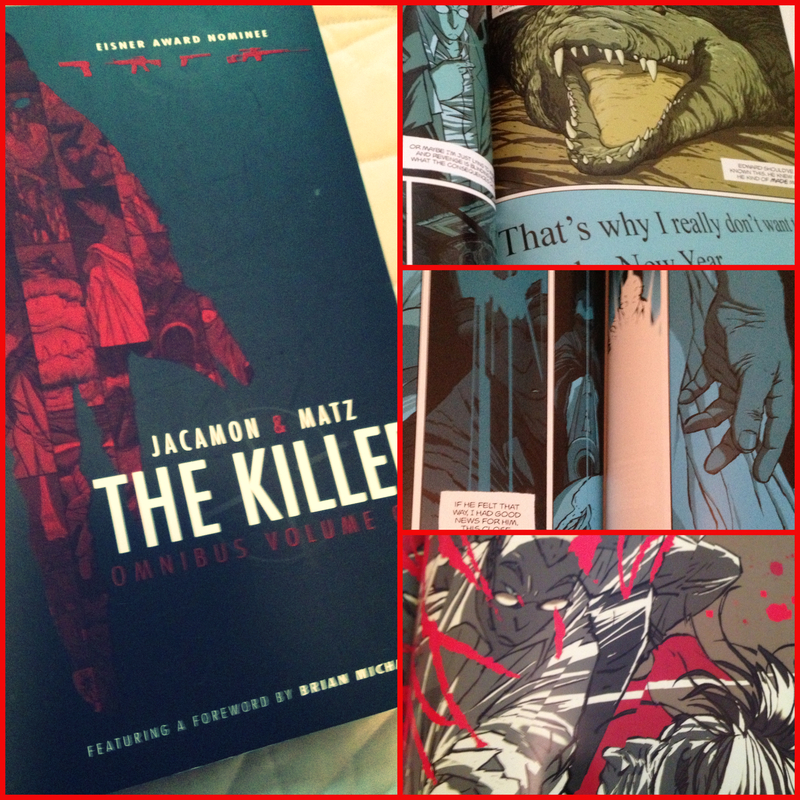 The Killer by writer Matz and artist Luc Jacamon follows a nameless kill-for-hire assassin in the twilight of his career. I picked up the Omnibus edition at #SDCC while spending hours (and $$$) in the Archaia Entertainment booth. The protagonist narrates the story as he attempts to collect the debt owed him by his employer. His musings on life and death are fascinating. Admittedly, he prefers silence and distance to complete a job. He also mediates on his own reptilian tendencies and how he fits in with the rest of the human species but these never suffer from sentimentality and he deftly avoids moralizing. It’s this singular focus that keeps The Killer from spiraling into pathos. One can’t help but cheer for the guy. While on ‘one last job’ he begins assessing his life’s work of dealing death when something goes awry. We follow him as he investigates the betrayal. The art is arresting. Cinematic. Its no wonder David Fincher optioned the story and is currently in pre-production on a filmic version of The Killer. The female characters are exquisitely rendered, vibrant and exotic though mostly one-dimensional with the exception of The Killer’s love interest. An exotic and beguiling beauty he meets while vacationing in South America. If you love hard-boiled, noir-style narratives, I highly recommend Matz and Jacamon’s The Killer.